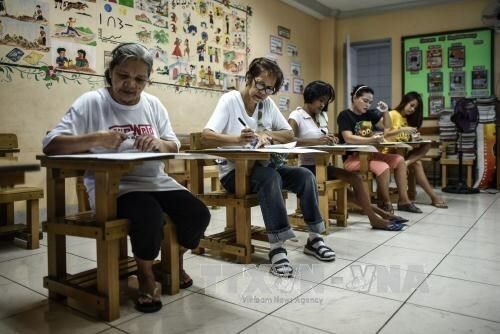 Manila (VNA) – Rodrigo Duterte, a candidate of the PDP-Laban political party, is taking an early lead in the presidential election in the Philippines, according to the local media’s unofficial statistics. The 71-year-old Mayor of Davao had 1.31 million votes, nearly double his nearest rival - Senator Grace Poe with 757,000 votes. Administration candidate Manuel Mar Roxas trailed closely in third. Earlier, Duterte who has promised to tackle crime and corruption received the most support of voters in an opinion poll. The poll, conducted by the Social Weather Stations (SWS) from May 1-3, showed that 33 percent of respondents picked Duterte as the country’s next President. Senator Grace Poe and Mar Roxas came second and third with 22 percent and 20 percent, respectively.